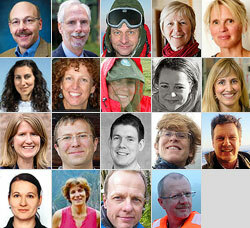 The seventeen Fulbright Arctic Initiative researchers and their co-lead scholars --who hail from all eight Arctic nations--will gather in Washington, D.C. in October 2016. The scholars will participate in policy meetings and public engagement events, including a capstone symposium showcasing the results of the Fulbright Arctic Scholars’ research and collaborations over the preceding 18 months. 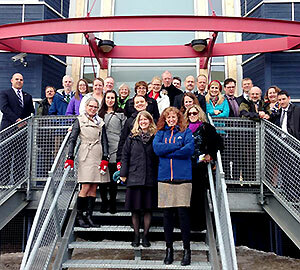 Fulbright Arctic Scholars visiting the Nunavut Legislative Assembly at their first meeting in Iqaluit, Canada. 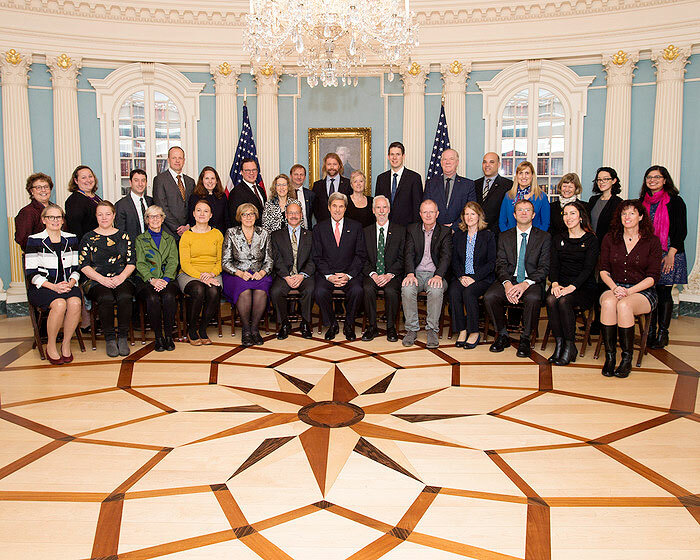 Launched in 2015 to coincide with the U.S. chairmanship of the Arctic Council, the Fulbright Arctic Initiative supports U.S. priorities including supporting international scientific cooperation on Arctic issues and increasing mutual understanding between the people of the United States and the people of other countries. As Arctic nations continue to take concrete steps to work together on shared challenges, the Fulbright Arctic Initiative offers a collaborative model for scholarly exchange to help translate theory into practice. Representing the Arctic Council’s eight member countries (Canada, Denmark, Finland, Iceland, Norway, Russia, Sweden, and the United States), the scholars are conducting research focused broadly on the impact of climate change on the Arctic, particularly on the issues of water, energy, health, and infrastructure. During Fulbright Arctic Week, the Fulbright Arctic Scholars will participate in several events, sharing their experiences and research with policymakers and public audiences. The Fulbright Arctic Symposium at the National Academy of Sciences on Thursday October 27, 9am-4:30pm, was live-streamed. Please see archived videos of the event below. This calendar will be continually updated with additional details on Arctic Week events, including venues, speakers, and registration information. 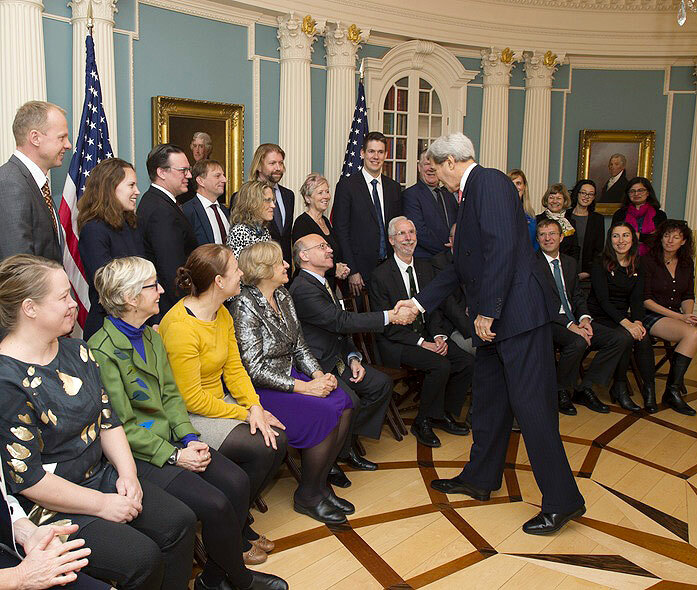 Fulbright Arctic Scholars meet Secretary Kerry at Fulbright Arctic Week in Washington D.C.
For program inquiries, contact arctic@iie.org. For press and media inquiries, contact ECA-press@state.gov.